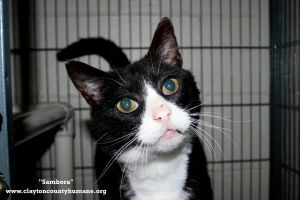 Sambora is Sir Talks-a-lot or as some staff members also refer to him as Mr. Personality. He is one of the sweetest cats we've ever had. He does have a very severe food allergy and should stay on a very strict diet. He is great with other cats. We have BABIES!!! These kittens will soon be spayed and neutered and ready to go home. 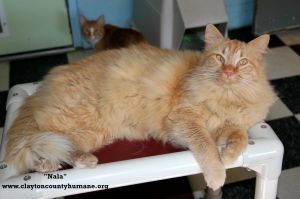 They are FELV/FIV negative and have been dewormed and vaccinated. 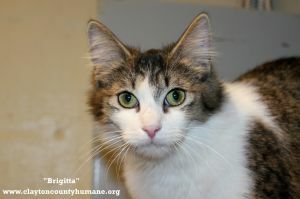 If you are interested in adopting a loving kitten please visit our shelter and submit an application. Once they are sterilized they will be ready to go home for you to enjoy their cute antics. Visit www.claytoncountyhumane.org for pet information or call the Clayton County Humane Society for assistance 770-471-9436 Clayton County Humane Society 7810 N. McDonough Street Jonesboro, GA. 30236 770-471-9436 www.claytoncountyhumane.org Hours are Tuesday, Wednesday, Saturday from 11 a.m. - 4 p.m. Tuesday and Wednesday closed for lunch 1:00 - 2:00 closed Monday, Thursday, and Friday Sunday 12noon - 4p.m. 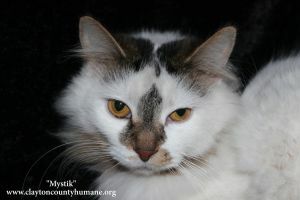 Mystik is new to the shelter. Please stop by or phone the shelter for more information. Visit www.claytoncountyhumane.org for pet information or call the Clayton County Humane Society for assistance 770-471-9436 Clayton County Humane Society 7810 N. McDonough Street Jonesboro, GA. 30236 770-471-9436 www.claytoncountyhumane.org Hours are T, W, Sat. 11 a.m. - 4 p.m. T and W closed for lunch 1:00 - 2:00 closed Th, F Sun 12noon - 4p.m. 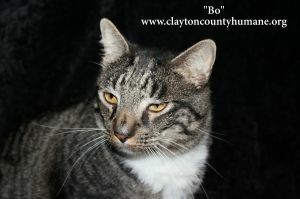 Bo is 2 years old and was found living with a feral cat colony. We believe someone had dumped him and clearly he was must too sweet to be living on the streets. 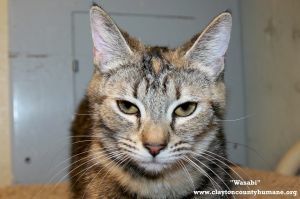 FELV/FIV Negative Birthdate January 2015 Visit www.claytoncountyhumane.org for pet information or call the Clayton County Humane Society for assistance 770-471-9436 Clayton County Humane Society 7810 N. McDonough Street Jonesboro, GA. 30236 770-471-9436 www.claytoncountyhumane.org Hours are Tuesday, Wednesday, Saturday from 11 a.m. - 4 p.m. Tuesday and Wednesday closed for lunch 1:00 - 2:00 closed Monday, Thursday, and Friday Sunday 12noon - 4p.m. 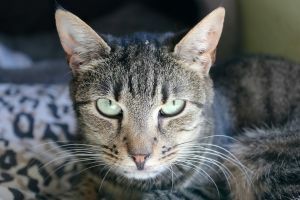 Tawni is such a sweet cat, she came to us very pregnant but now that her babies are grown and she is ready to find her forever home. 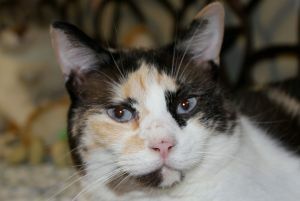 Tawni came to us from a home with many other cats but no dogs. 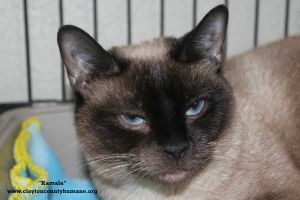 She is a very sweet calm cat and would be a great addition to your family. 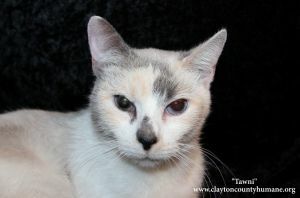 Tawni is litter box trained, Felv/FIV negative, current on vaccines, dewormed, microchipped and spayed. Birthdate 1-22-15 Visit www.claytoncountyhumane.org for pet information or call the Clayton County Humane Society for assistance 770-471-9436 Clayton County Humane Society 7810 N. McDonough Street Jonesboro, GA. 30236 770-471-9436 www.claytoncountyhumane.org Hours are Tuesday, Wednesday, Saturday from 11 a.m. - 4 p.m. Tuesday and Wednesday closed for lunch 1:00 - 2:00 closed Monday, Thursday, and Friday Sunday 12noon - 4p.m. 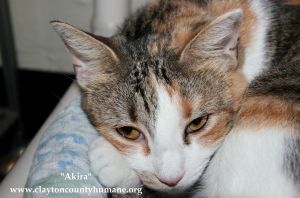 Akira came from a home with several other animals, cat and dogs both. 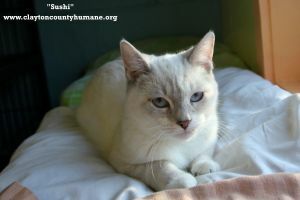 She is very sweet and would do well in about any home. 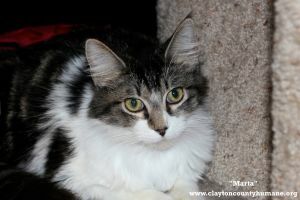 Litter box trained, Felv/FIV negative, current on vaccines, dewormed and spayed. Birthdate 5-6-12 Visit www.claytoncountyhumane.org for pet information or call the Clayton County Humane Society for assistance 770-471-9436 Clayton County Humane Society 7810 N. McDonough Street Jonesboro, GA. 30236 770-471-9436 www.claytoncountyhumane.org Hours are Tuesday, Wednesday, Saturday from 11 a.m. - 4 p.m. Tuesday and Wednesday closed for lunch 1:00 - 2:00 closed Monday, Thursday, and Friday Sunday 12noon - 4p.m. 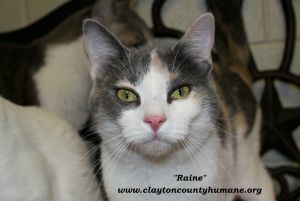 Raine and Skye were dumped at the shelter on a very wet rainy day. They were shoved into a crate together. Both wet and scared but right away showed us they were very sweet. These two are often found hanging out together in the cat room, they love people and will beg for you to pet them. We believe they are more than likely from the same litter and not quite a year old. 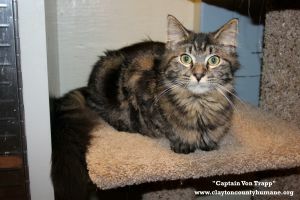 Litter box trained, Felv/FIV negative, current on vaccines, dewormed and spayed. Birthdate 8-16-13 Clayton County Humane Society 7810 N. McDonough Street Jonesboro, GA. 30236 770-471-9436 www.claytoncountyhumane.org Hours are Tuesday, Wednesday, Saturday from 11 a.m. - 4 p.m. Tuesday and Wednesday closed for lunch 1:00 - 2:00 closed Monday, Thursday, and Friday Sunday 12noon - 4p.m. 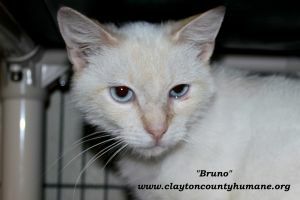 Bruno is a little shy but does great with other cats. He would do well in a quiet, calm home. 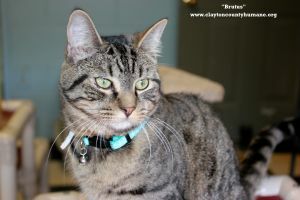 He is litter box trained, Felv/FIV negative, current on vaccines, dewormed and neutered. 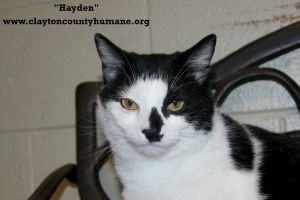 Birthdate 3-22-12 Visit www.claytoncountyhumane.org for pet information or call the Clayton County Humane Society for assistance 770-471-9436 Clayton County Humane Society 7810 N. McDonough Street Jonesboro, GA. 30236 770-471-9436 www.claytoncountyhumane.org Hours are Tuesday, Wednesday, Saturday from 11 a.m. - 4 p.m. Tuesday and Wednesday closed for lunch 1:00 - 2:00 closed Monday, Thursday, and Friday Sunday 12noon - 4p.m. Tybee was scooped up from a busy street after a good samaritan whitnessed him being thrown from a pickup truck. 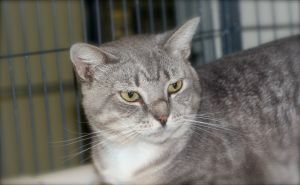 Tybee is great with the other cats at the shelter but would do well in a more calm environment. Litter box trained, Felv/FIV negative, current on vaccines, dewormed and Neutered. 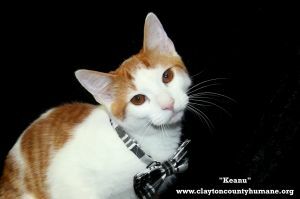 Birthdate 5-12-12 Visit www.claytoncountyhumane.org for pet information or call the Clayton County Humane Society for assistance 770-471-9436 Clayton County Humane Society 7810 N. McDonough Street Jonesboro, GA. 30236 770-471-9436 www.claytoncountyhumane.org Hours are Tuesday, Wednesday, Saturday from 11 a.m. - 4 p.m. Tuesday and Wednesday closed for lunch 1:00 - 2:00 closed Monday, Thursday, and Friday Sunday 12noon - 4p.m. 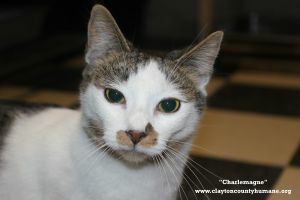 Grady is a great cat that loves attention from his human caretakers or whoever will give him a few minutes of attention. 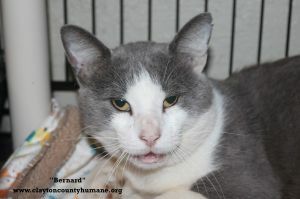 He would be a great cat for someone that really wants a cat that interacts with them and one loves to be petted. Grady has an estimated birthdate of July 2011. Visit www.claytoncountyhumane.org for pet information or call the Clayton County Humane Society for assistance 770-471-9436 Clayton County Humane Society 7810 N. McDonough Street Jonesboro, GA. 30236 770-471-9436 www.claytoncountyhumane.org Hours are Tuesday, Wednesday, Saturday from 11 a.m. - 4 p.m. Tuesday and Wednesday closed for lunch 1:00 - 2:00 closed Monday, Thursday, and Friday Sunday 12noon - 4p.m. 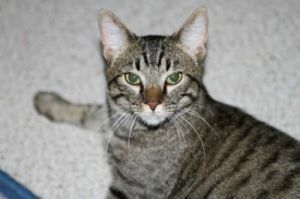 Jude has an estimated birthdate of April 2011, he is a tabby domestic shorthair. He has been neutered and fully vaccinated. Jude was suffering from a shattered rear end, laying in a cage at Animal Control. Most likely he had been hit by a car, he was scooped up by Animal Control and taken to their facility. When someone from CCHS found him, he was immediately pulled and taken to see our vets. Poor Jude had been slammed pretty hard, and it was going to take surgery to get him back on his feet....literally, back on his feet! He cruised through the surgery, and is now fully recovered. He has tons of personality and loves attention. Jude's favorite thing to do at night, is to curl up, right next to you in a big comfy chair, and sleep while you watch television. This sweet boy has been through a lot, and he deserves to have a bright, happy future. Visit www.claytoncountyhumane.org for pet information or call the Clayton County Humane Society for assistance 770-471-9436 Clayton County Humane Society 7810 N. McDonough Street Jonesboro, GA. 30236 770-471-9436 www.claytoncountyhumane.org Hours are Tuesday, Wednesday, Saturday from 11 a.m. - 4 p.m. Tuesday and Wednesday closed for lunch 1:00 - 2:00 closed Monday, Thursday, and Friday Sunday 12noon - 4p.m. Poor little Lucy was abandoned at the shelter in a box with her 3 siblings. They were very lucky little ones. The box was not big enough to contain them and they easily escaped but when a CCHS staff member arrived for work that morning they eagerly ran up meowing for help. Such cute little ones and yet they all look very similar. But, sadly Lucy has been overlooked for several years and has grown up in our shelter. She has an estimated birthdate of August 2011. Visit www.claytoncountyhumane.org for pet information or call the Clayton County Humane Society for assistance 770-471-9436 Clayton County Humane Society 7810 N. McDonough Street Jonesboro, GA. 30236 770-471-9436 www.claytoncountyhumane.org Hours are Tuesday, Wednesday, Saturday from 11 a.m. - 4 p.m. Tuesday and Wednesday closed for lunch 1:00 - 2:00 closed Monday, Thursday, and Friday Sunday 12noon - 4p.m. 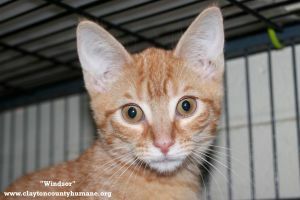 Poor little Julia was abandoned at the shelter in a box with her 3 siblings. They were very lucky little ones. The box was not big enough to contain them and they easily escaped but when a CCHS staff member arrived for work that morning they eagerly ran up meowing for help. Such cute little ones and yet they all look very similar. Sadly, though we still have three of these babies with us. She has an estimated birthdate of August 2011. Visit www.claytoncountyhumane.org for pet information or call the Clayton County Humane Society for assistance 770-471-9436 Clayton County Humane Society 7810 N. McDonough Street Jonesboro, GA. 30236 770-471-9436 www.claytoncountyhumane.org Hours are Tuesday, Wednesday, Saturday from 11 a.m. - 4 p.m. Tuesday and Wednesday closed for lunch 1:00 - 2:00 closed Monday, Thursday, and Friday Sunday 12noon - 4p.m. 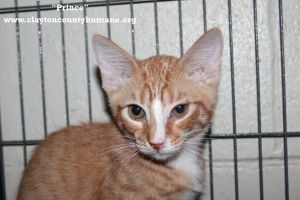 Poor little Prudence was abandoned at the shelter in a box with her 3 siblings. They were very lucky little ones. The box was not big enough to contain them and they easily escaped but when a CCHS staff member arrived for work that morning they eagerly ran up meowing for help. Such cute little ones and yet they all look very similar. But, they are all very sweet and loving and would love to grow up in a home and not a shelter. Prudence is super sweet and sadly remains with her two sisters after sadly saying goodbye to their brother a few months ago. She has an estimated birthdate of August 2011. Visit www.claytoncountyhumane.org for pet information or call the Clayton County Humane Society for assistance 770-471-9436 Clayton County Humane Society 7810 N. McDonough Street Jonesboro, GA. 30236 770-471-9436 www.claytoncountyhumane.org Hours are Tuesday, Wednesday, Saturday from 11 a.m. - 4 p.m. Tuesday and Wednesday closed for lunch 1:00 - 2:00 closed Monday, Thursday, and Friday Sunday 12noon - 4p.m. 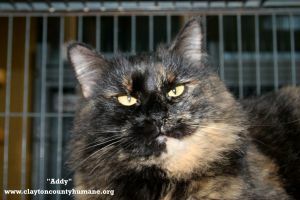 Meadow is a beautiful cat that loves people. 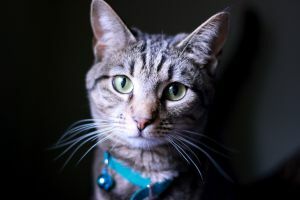 She is such a wonderful cat with a personality to match. Such interesting markings, a one of a kind kitty. Just look into those baby blue eyes of her and you will be instantly mesmerized by her. Meadow has an estimated birthdate of July 2009. Visit www.claytoncountyhumane.org for pet information or call the Clayton County Humane Society for assistance 770-471-9436 Clayton County Humane Society 7810 N. McDonough Street Jonesboro, GA. 30236 770-471-9436 www.claytoncountyhumane.org Hours are M,W, Sat. 11 a.m. - 4 p.m. M,W closed for lunch 1:00 - 2:00 closed Th, F Sun 12noon - 4p.m. 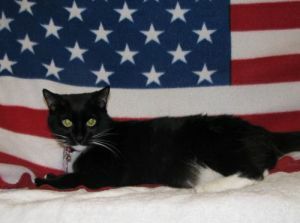 Max is a male British Short hair born March of 2007. 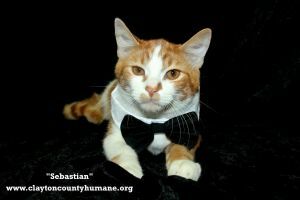 He is very social and outgoing and adores attention. Max has an odd habit, especially for a cat. He likes to be up side down. Once in your arms, he will flip himself up side down. Go figure! 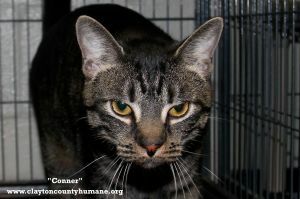 He is very sweet and in need of a home to bond with while he is still a young cat. 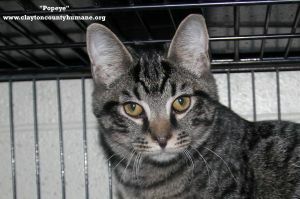 Max is completely vetted and waiting for the lucky family who will make him a part of their lives. Visit www.claytoncountyhumane.org for pet information or call the Clayton County Humane Society for assistance 770-471-9436Clayton County Humane Society 7810 N. McDonough Street Jonesboro, GA. 30236 770-471-9436 www.claytoncountyhumane.org Hours are M,W, Sat. 11 a.m. - 4 p.m. M,W closed for lunch 1:00 - 2:00 closed Th, F Sun 12noon - 4p.m. A caring passerby noticed Bonnie lying in the road one day and stopped to see what it was. She was in great spirits considering that she had just been hit by a car and had a broken pelvis and some abrasions. 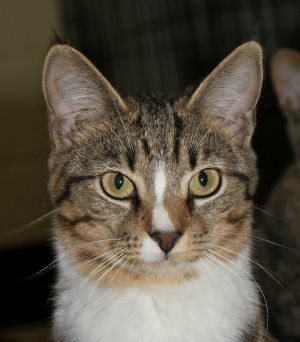 Sweet and affectionate, Bonnie is playful and full of curiosity. Now completely healed from her little accident while crossing the road, she has been completely vetted and is waiting for the perfect home. 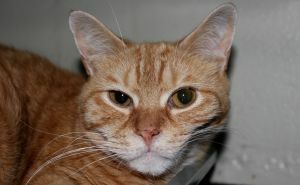 Bonnie gets along great with other cats and may do well with dogs. 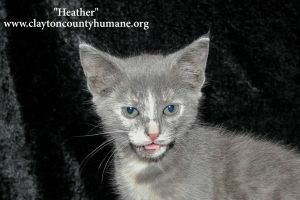 She is litter box trained and available for adoption. Bonnie has an estimated birthdate of April 2006. Visit www.claytoncountyhumane.org for pet information or call the Clayton County Humane Society for assistance 770-471-9436 Clayton County Humane Society 7810 N. McDonough Street Jonesboro, GA. 30236 770-471-9436 www.claytoncountyhumane.org Hours are M,W, Sat. 11 a.m. - 4 p.m. M,W closed for lunch 1:00 - 2:00 closed Th, F Sun 12noon - 4p.m.